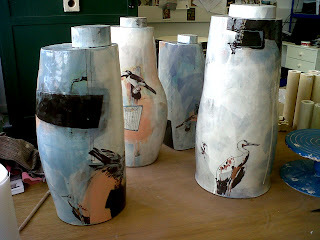 Following on from the last post, have included a quick snapshot of some of the most recently fired pieces. 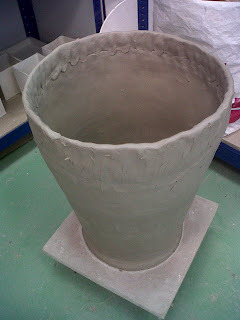 In the last month or so I’ve been spending time on other peoples work, which has given me time to think about the differences in creating personally driven pieces and creating work that is the product of someone else’s idea. With this the focus is purely on craftmanship and communicating someone’s intentions- not allowing too much of my own visual language to creep in…As this is not how I’ve worked in the past its been a really interesting process, and definitely something I would revisit. Most of this work will be on show at Edinburgh College of Art soon, so will put some more details and images of the final work later! 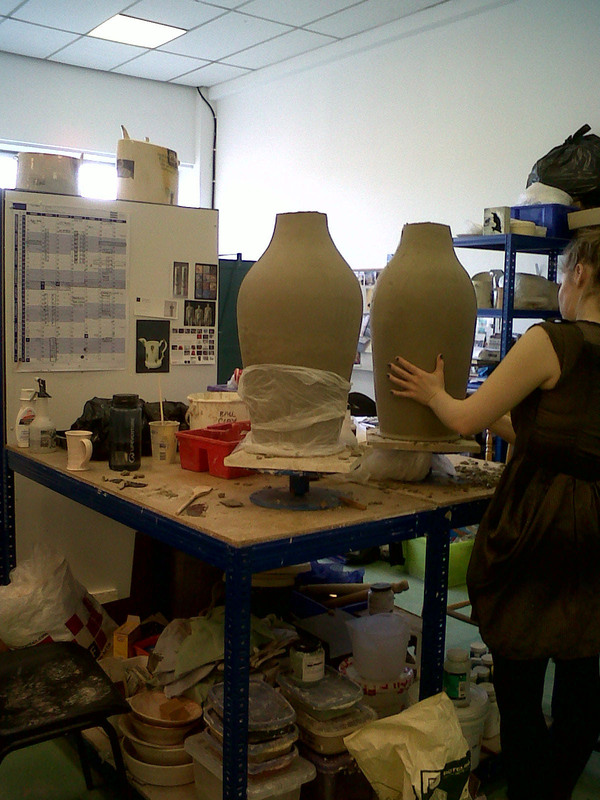 The pots below are one of the projects, with sculpture student Kirsty Jones shadowing me while I made one pot and she made the other. Also been firing pieces with decals on for other students this week, who are keen to expand the scope of their art or design projects. 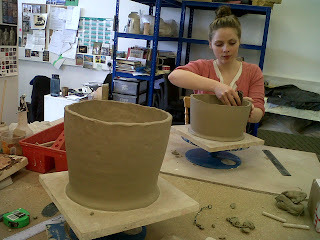 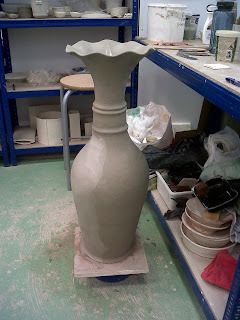 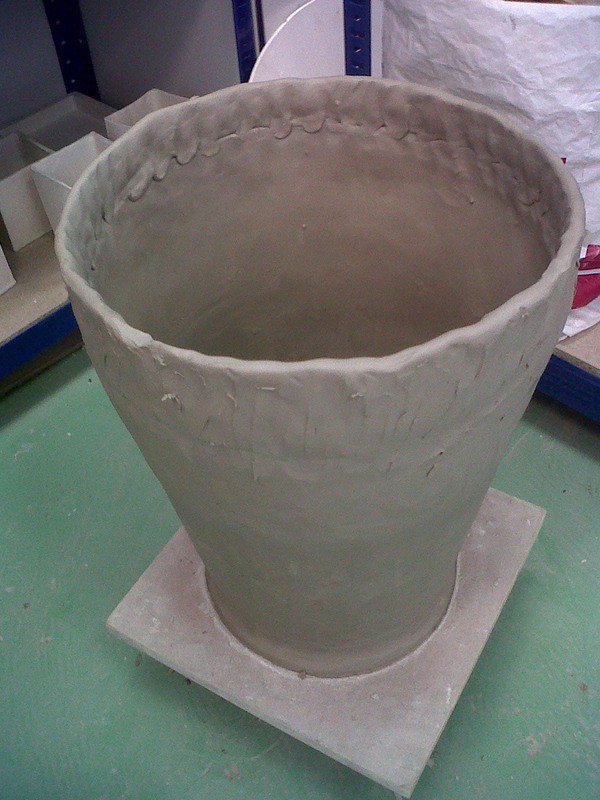 Its encouraging, with the current climate of college department closures, that there are students that are keen to learn more and work with clay or ceramic processes.